This is a very interesting map by a cool geographer, Ben Henning, I had on my panel in this years AAGs (geography conference). 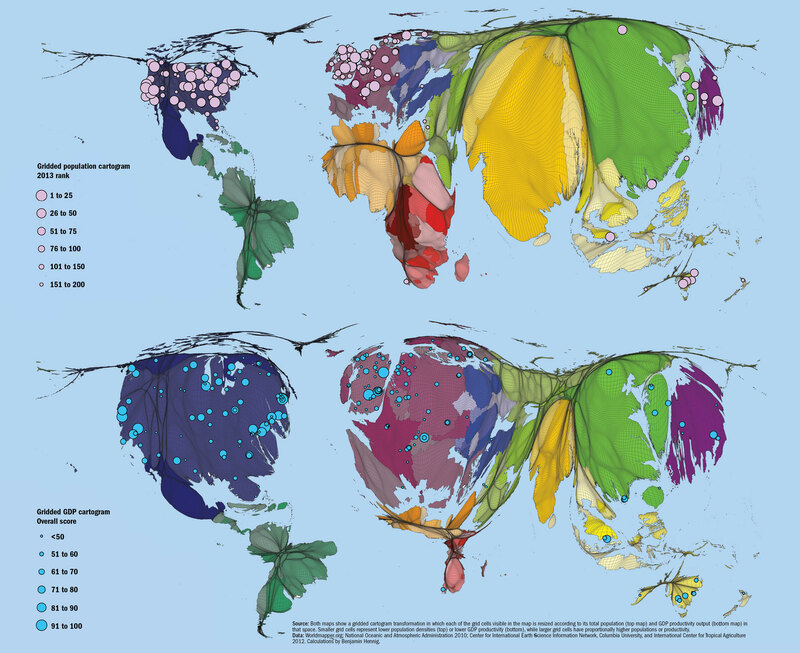 Ben is known for cartograms in the on-line world with worldmapper and also has a blog. It show the top 200 universities on a world map. But the map is changed first by population for each grid cell on the map, then by GDP. Rich countries with high per-capita incomes and English speaking countries do the best. In Asia only one Mainland Chinese university makes the list not counting two in Hong Kong. Australia also does well. India, South American, Africa, Islamic Middle east, and Southern Europe, expect for Spain, all miss the cut.